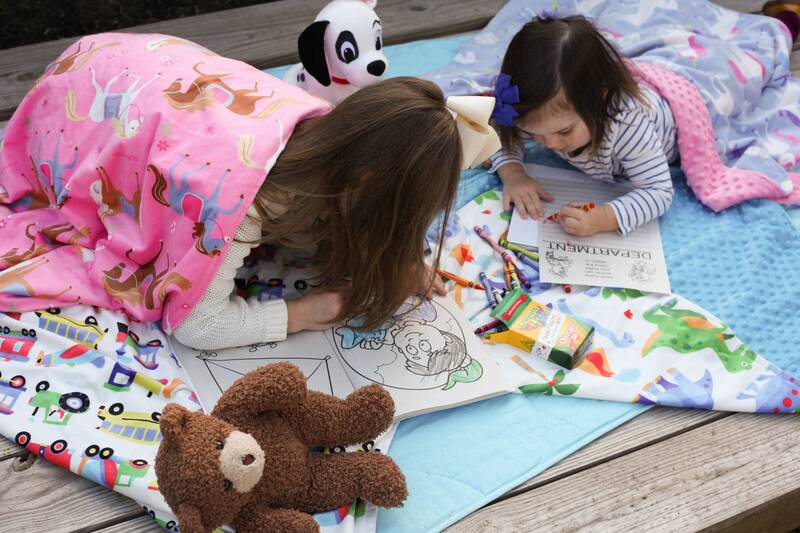 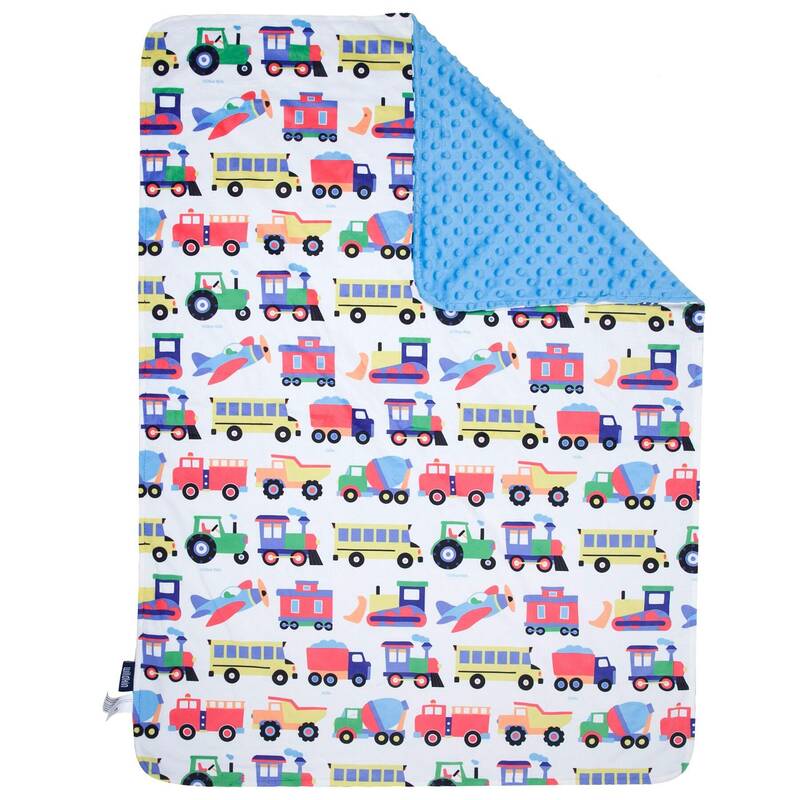 This snuggly soft double-sided plush velour blanket features adorable transportation print (trains, planes, trucks, etc.). 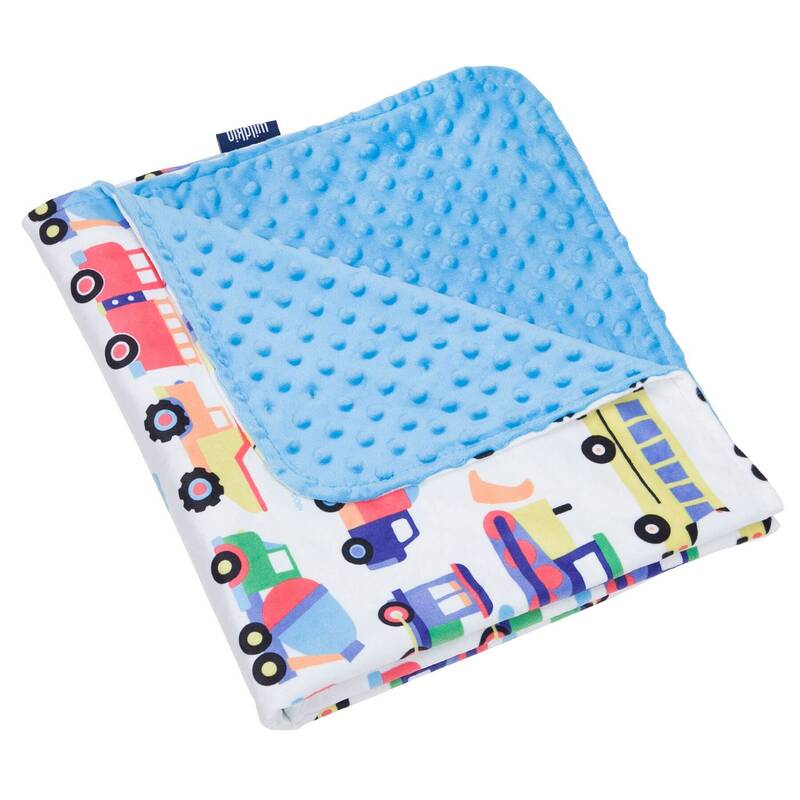 Backed with soft velour Minky dots fabric. 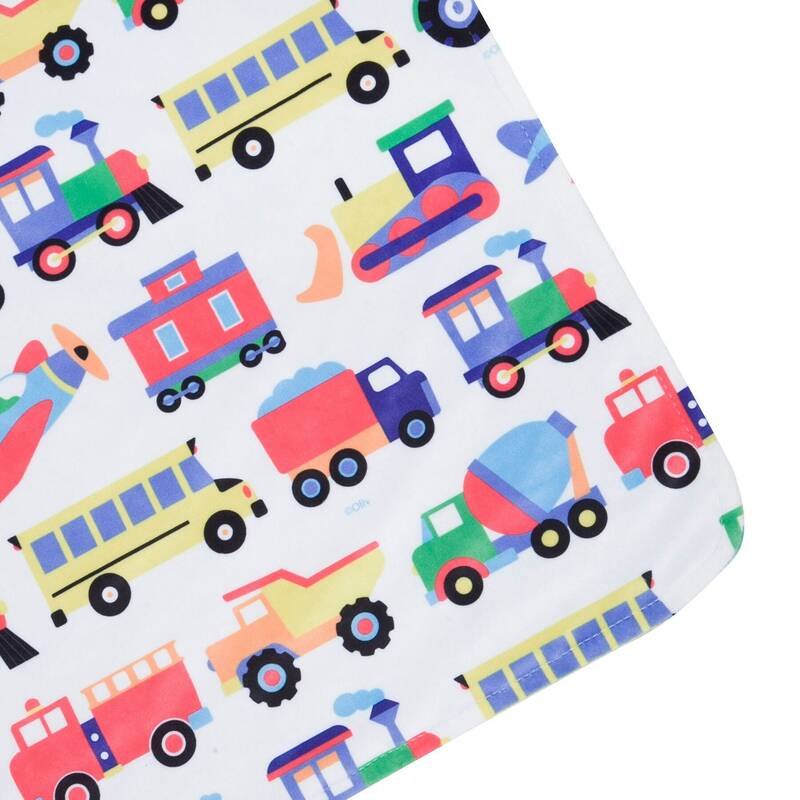 Measures 39.5in x 28in. 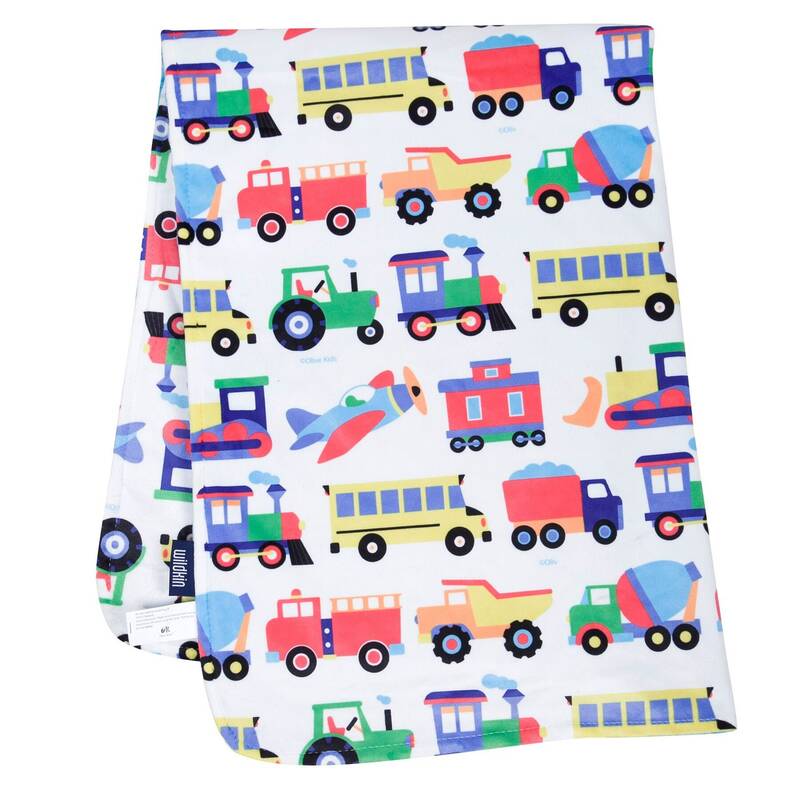 Perfect for babies and toddlers and a great size for strollers.